Turn up the heat! What more could a spicy foods lover ask for? 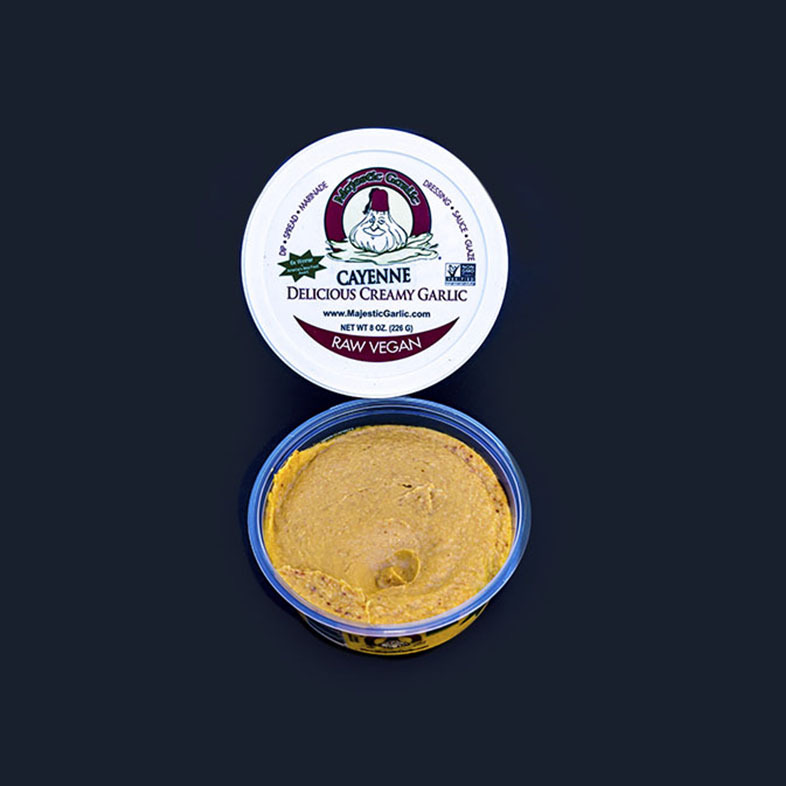 Creamy garlic with just the right amount of heat from cayenne spice, Majestic Garlic Cayenne spread is sure to add that little extra kick to your meal. 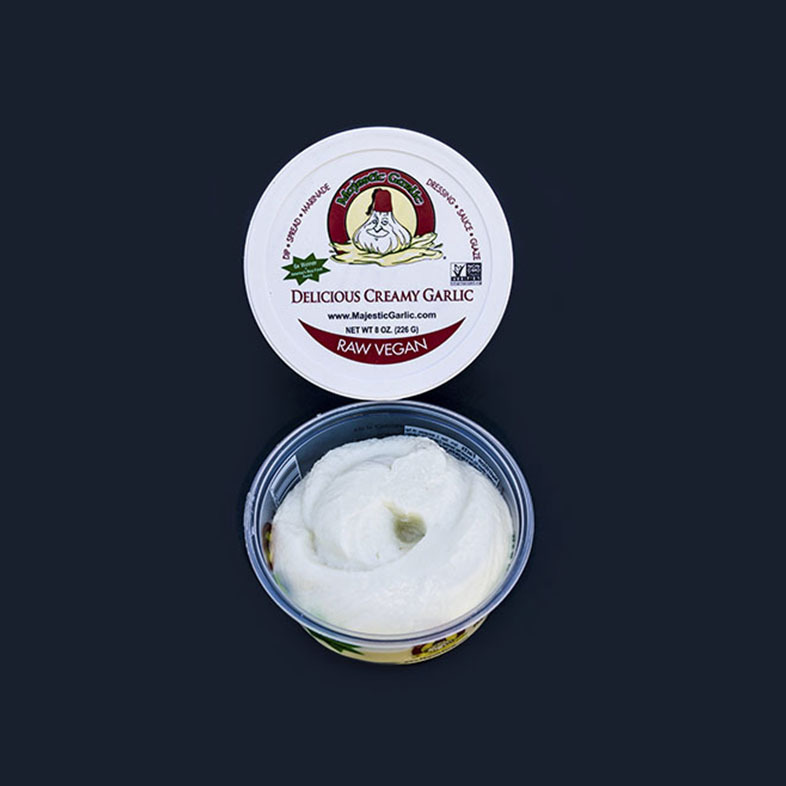 Majestic Garlic spread is made from 100% USA organic fresh raw garlic, organic cold milled flaxseed, organic safflower oil, organic sea salt, and fresh lemon juice.